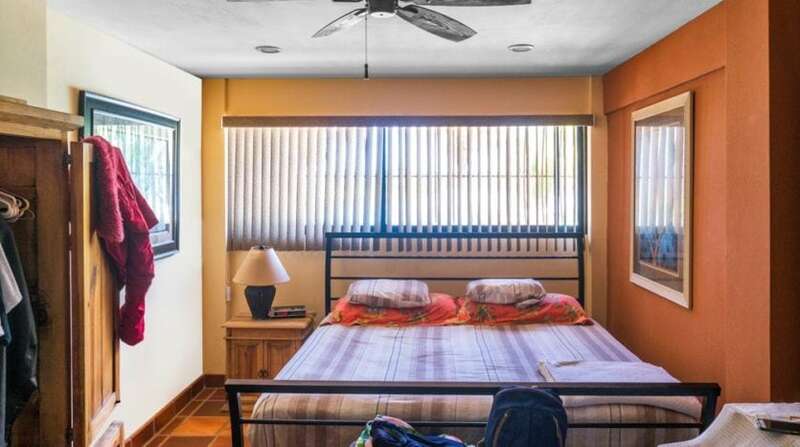 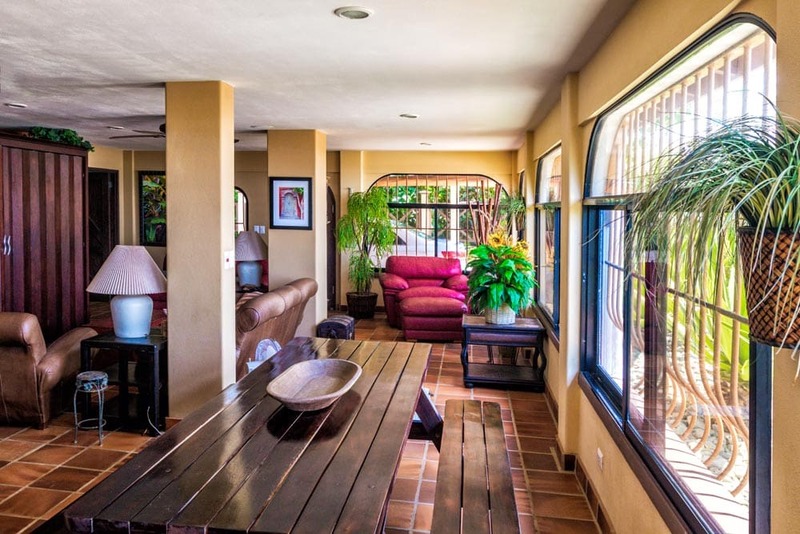 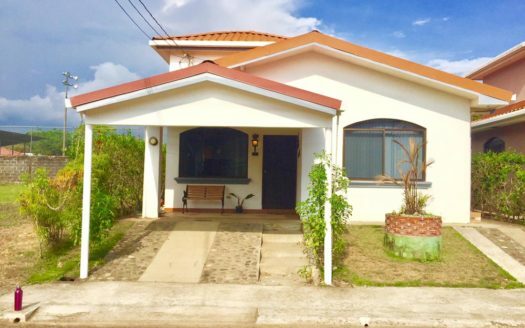 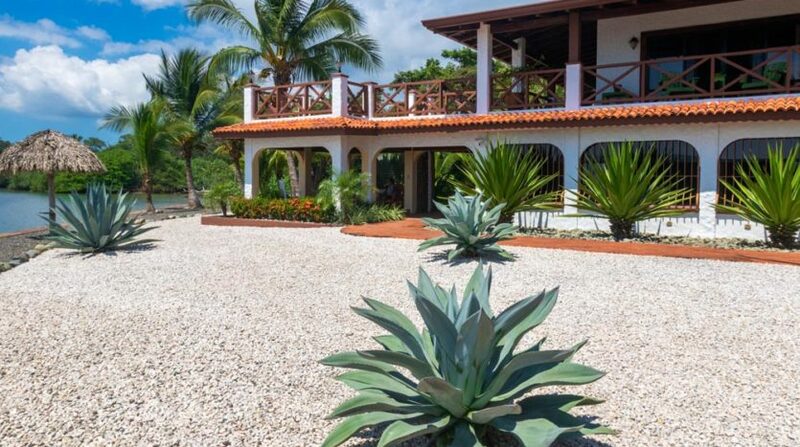 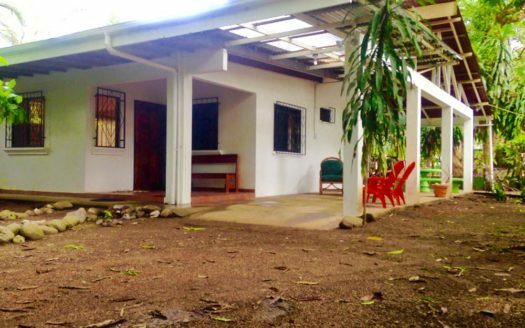 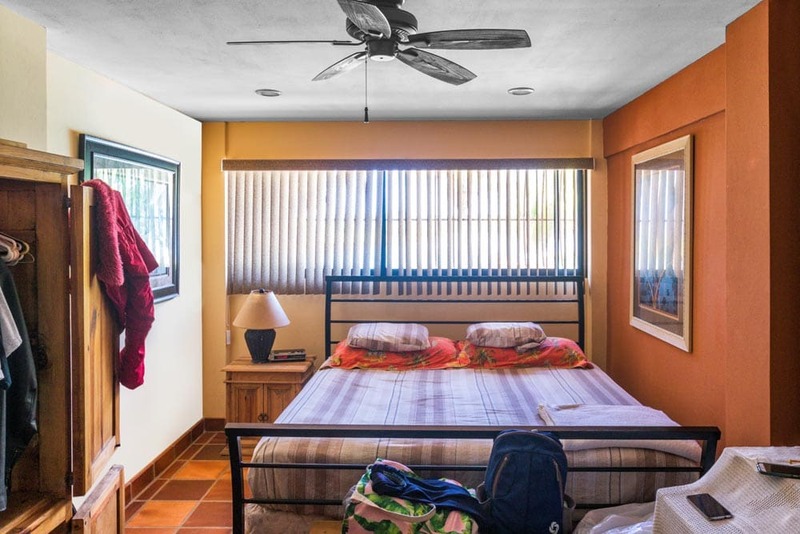 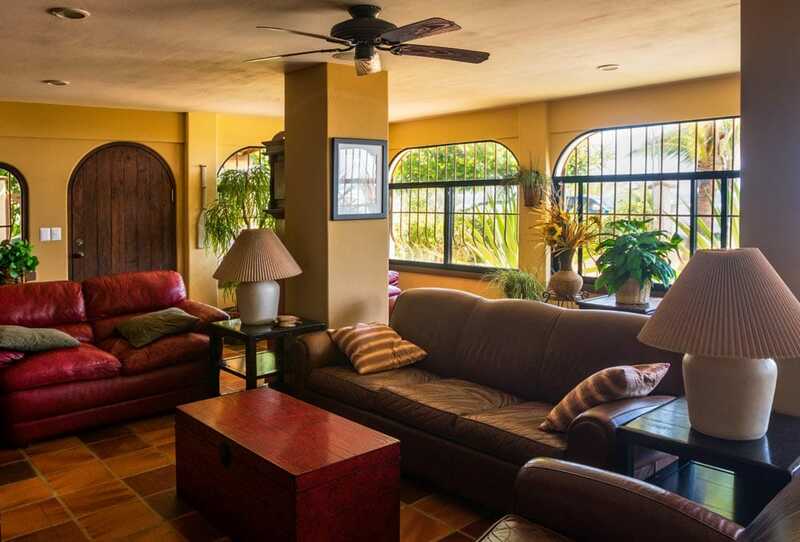 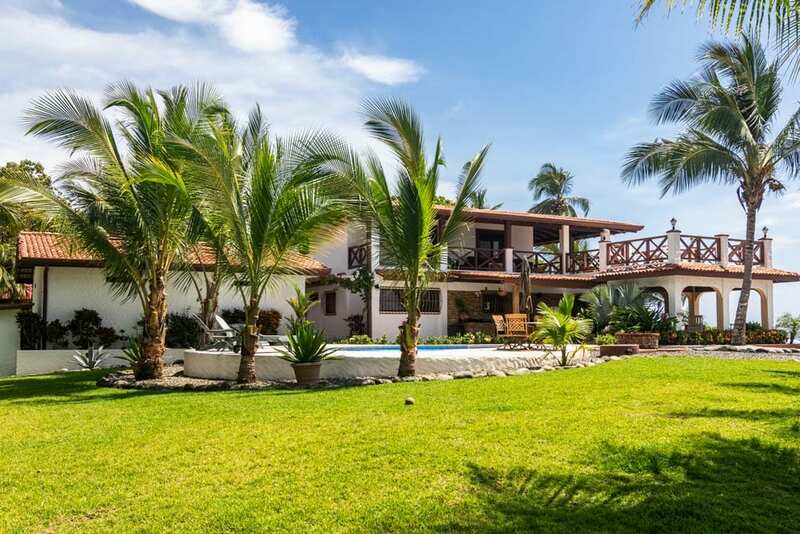 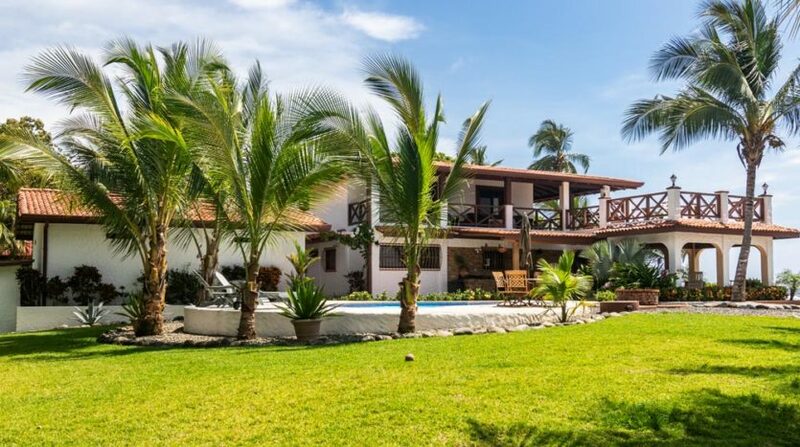 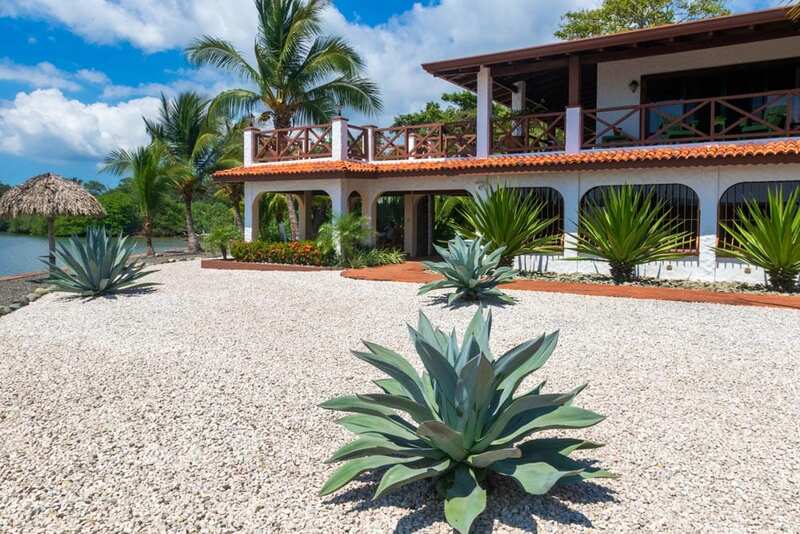 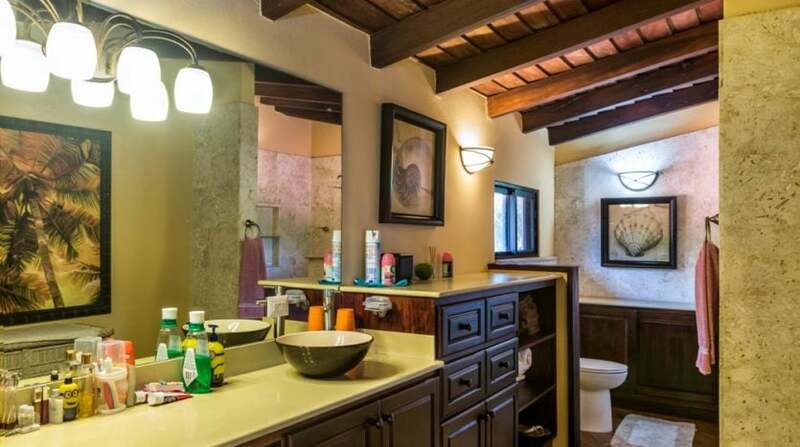 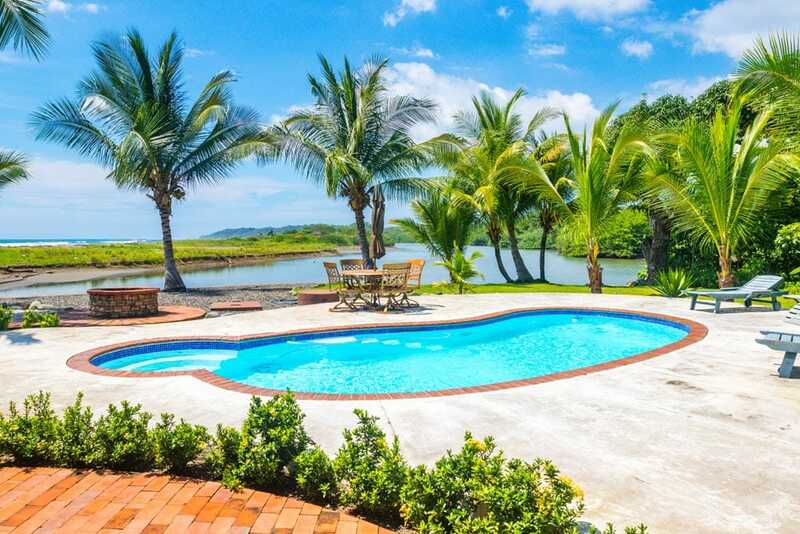 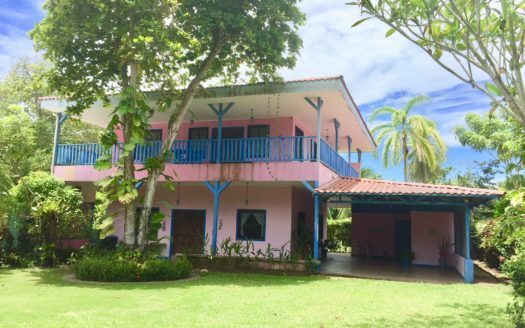 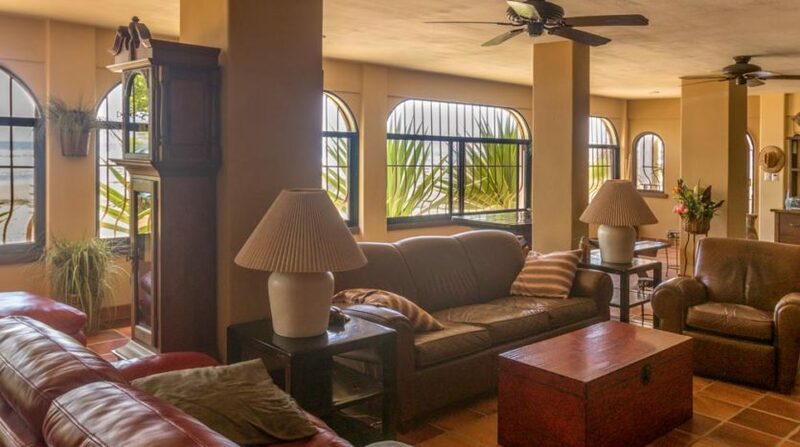 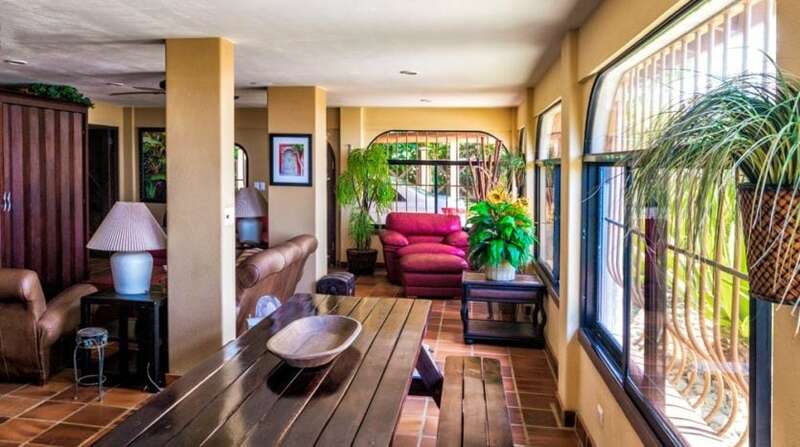 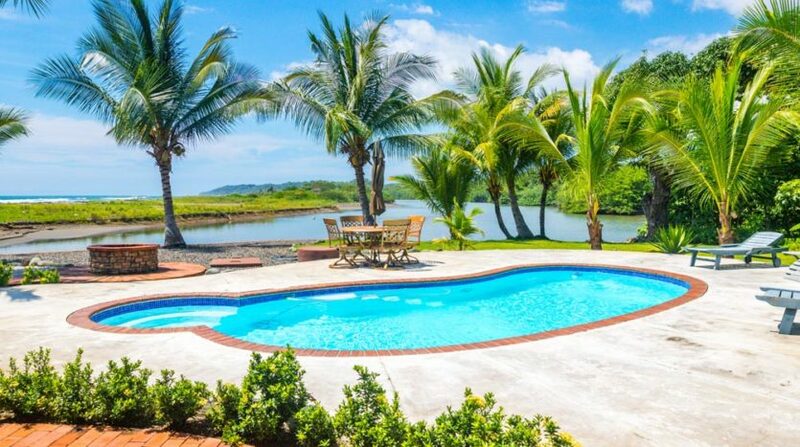 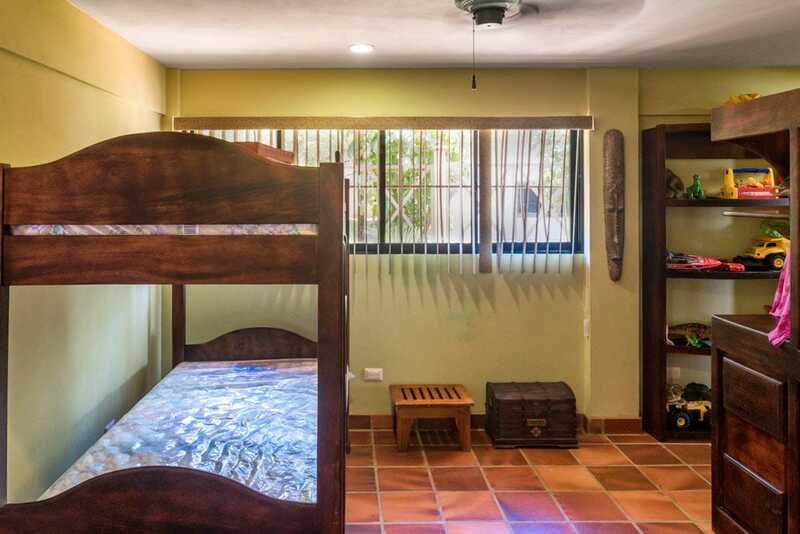 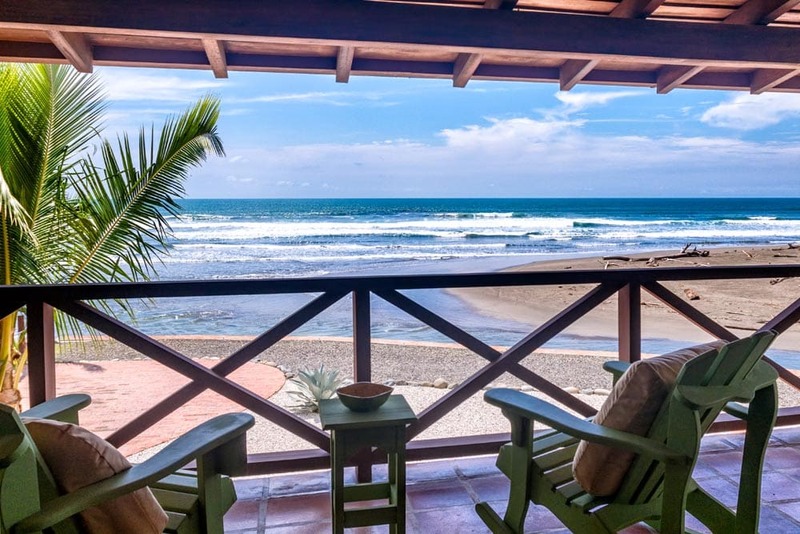 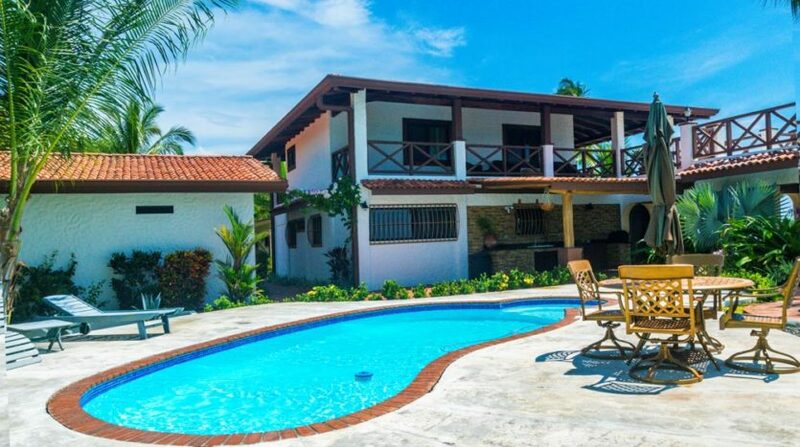 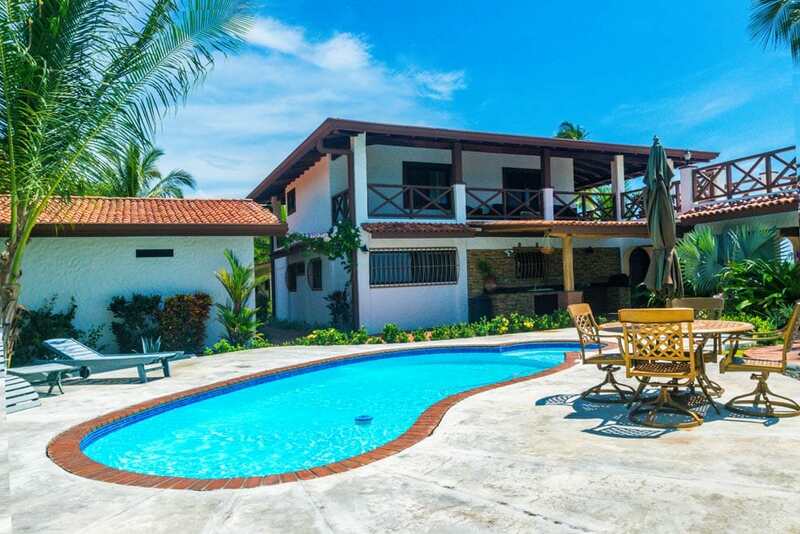 Beautiful Beach front home in Esterillos Centro. 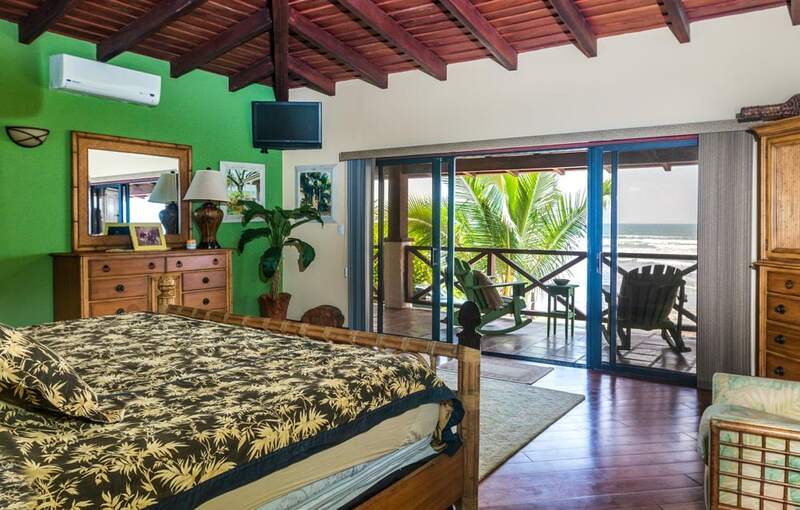 This home is located beach front as well as Estuary frontage. 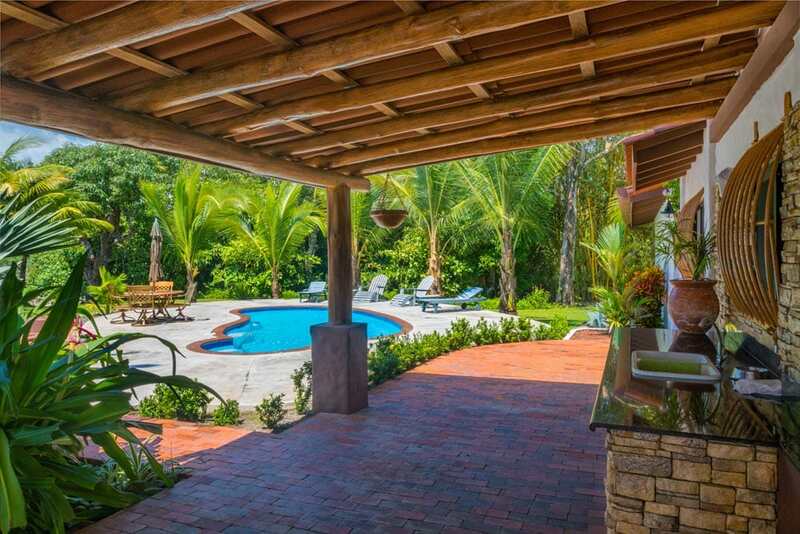 The tranquil and serene setting is 100% Pure Vida. 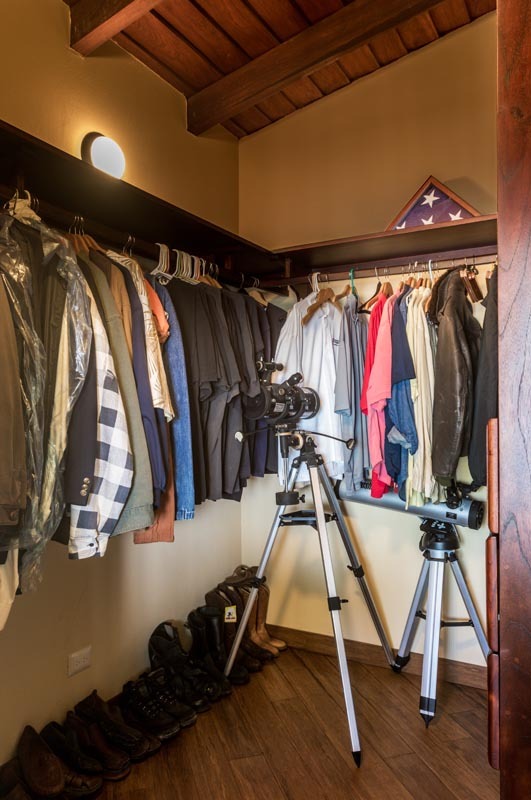 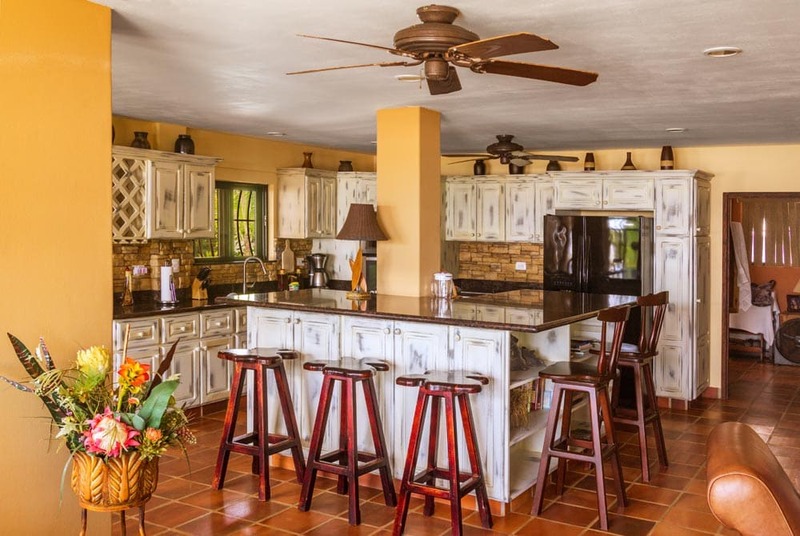 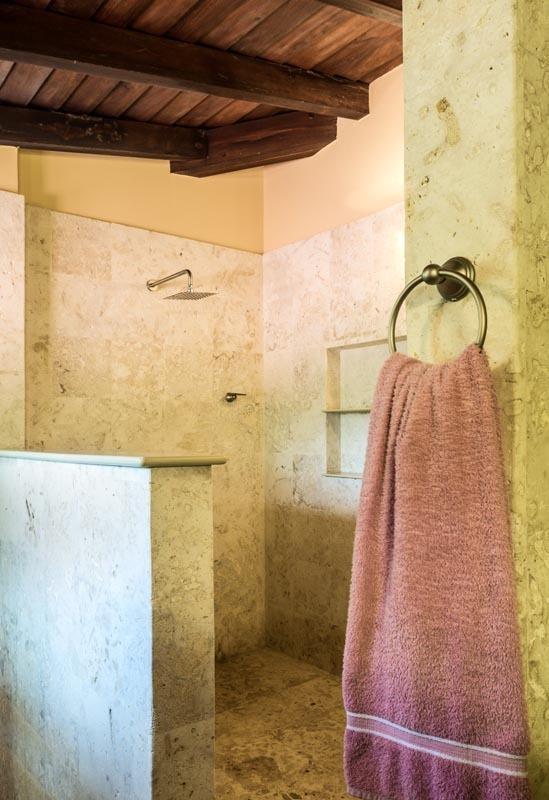 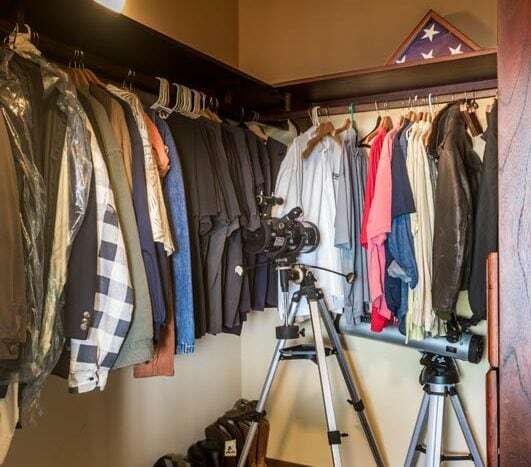 Home comes fully turnkey with quality and tasteful furnishings and appliances. 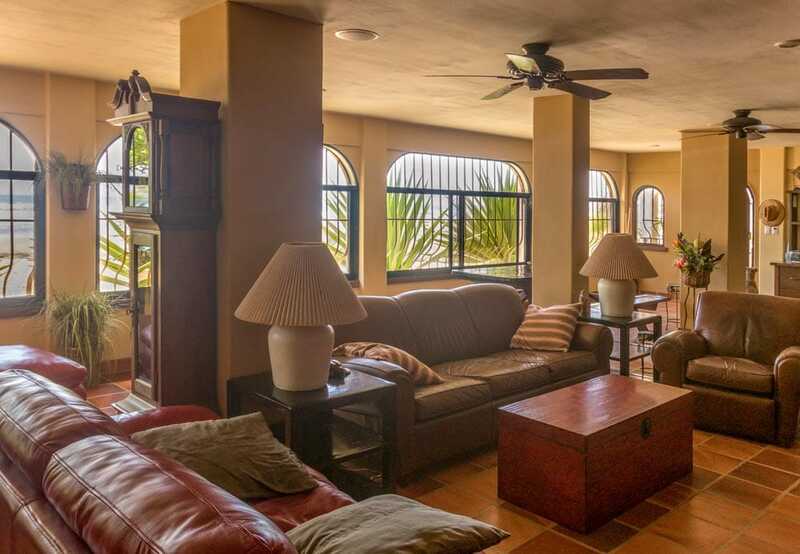 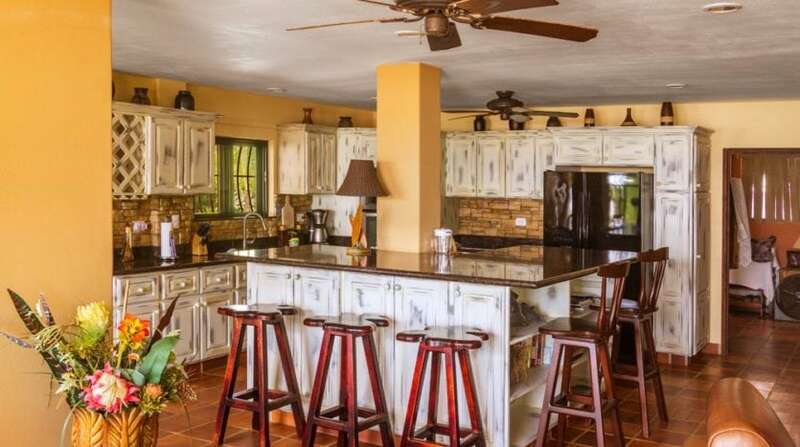 This 3 bedroom and 3 bath home offers great views of the Ocean from every room. 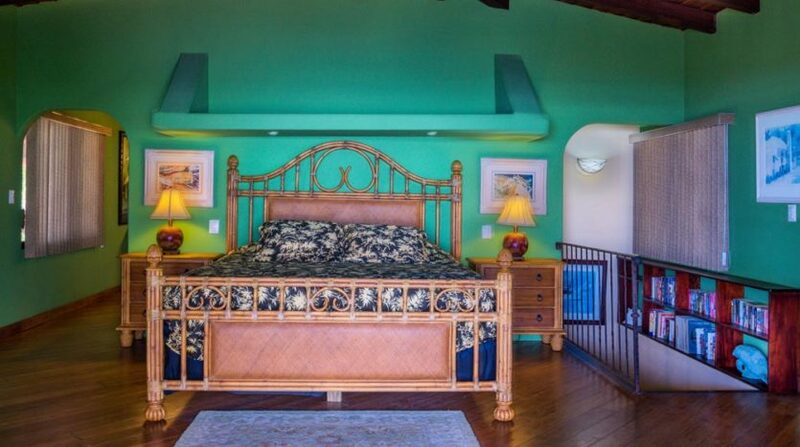 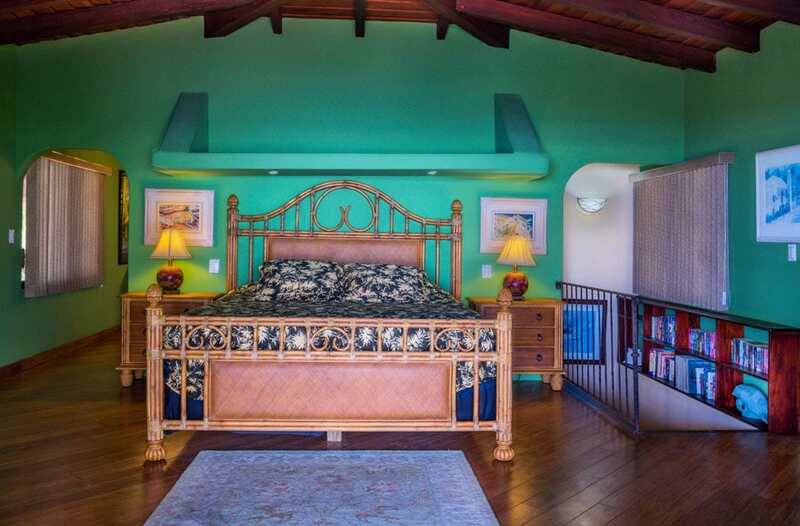 Large master bedroom occupies the entire 2nd floor and 2 additional bedrooms and bathroom located on the first floor. 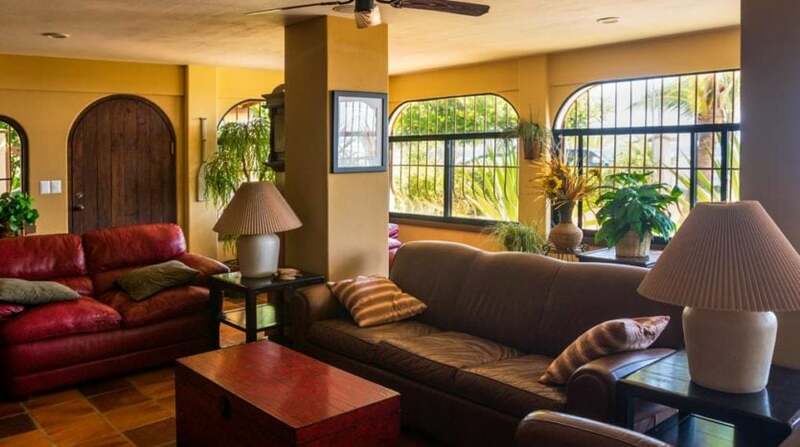 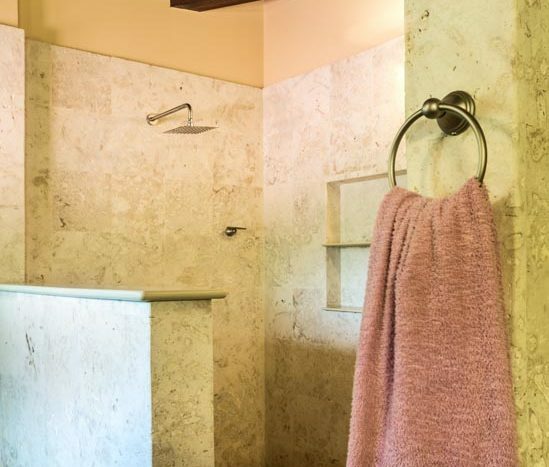 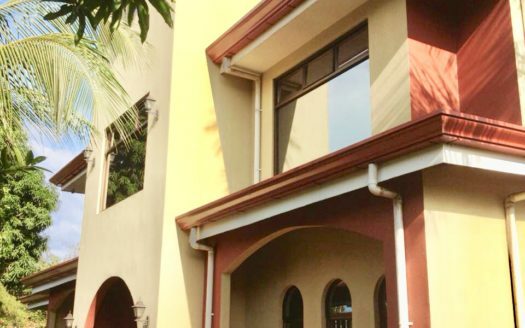 The lawn is professionally landscaped and pool and gardens are meticulously maintained. 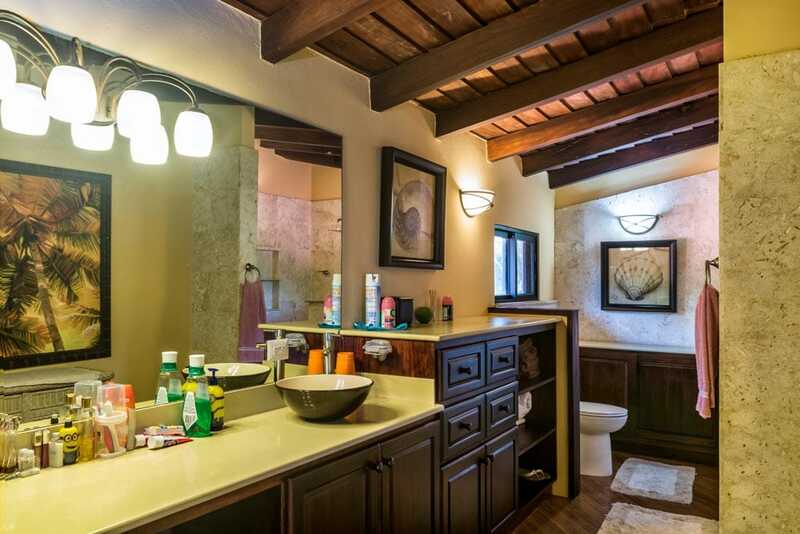 Added bonus is a three stall detached garage. 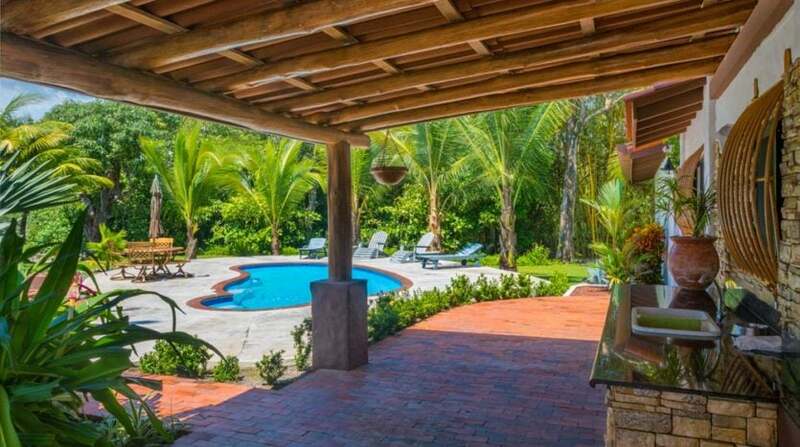 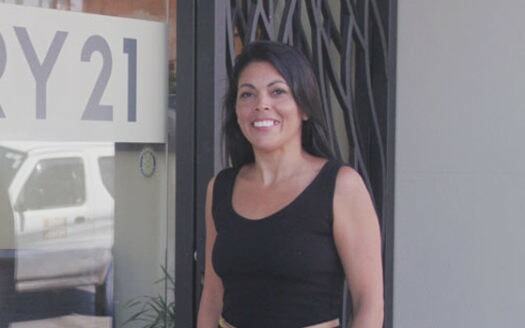 Esterillos Centro is located approximately 20 minutes south of Jaco. 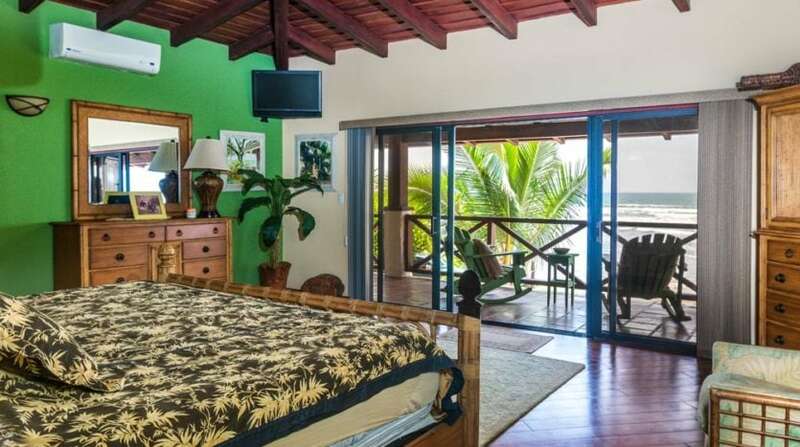 The area is very scenic and a nature lovers dream with boundless flora, fauna and wildlife. 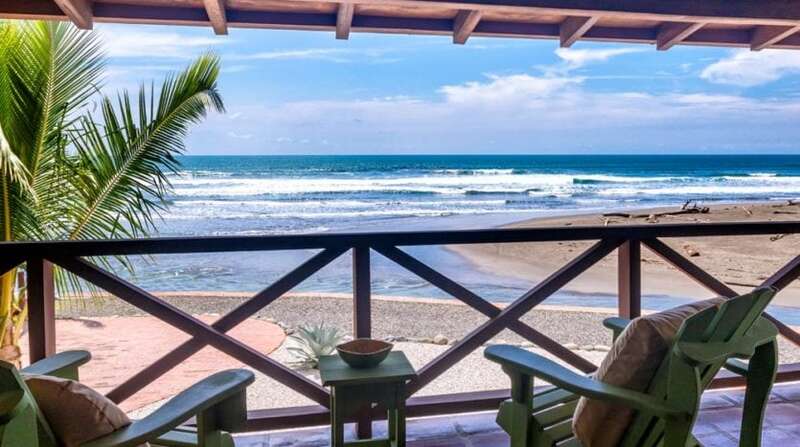 Esterillos is one the area’s best kept secrets, this quaint sea side town is much quieter and laid back that nearby larger towns.